It has been a HUGE year of growth for JWP, and looking back on these beautiful images, we can't help but feel immense gratitude to the people who trusted us to capture these moments for them. 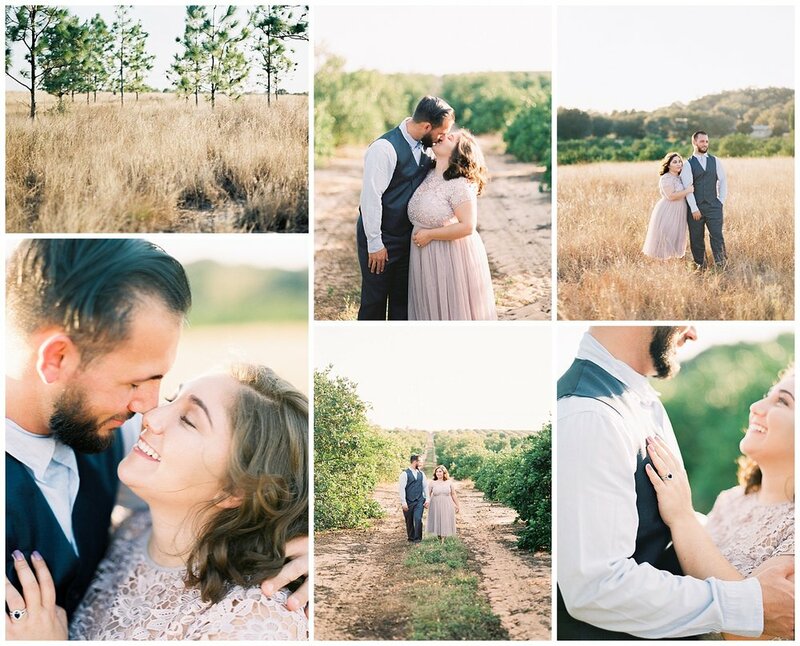 Aside from portraits and families (which we love dearly), we were also able to photograph our first engagements AND our first WEDDING! EEK! Never would we have guessed we'd be exploring that terrain so soon, and we consider it an incredible honor. 2017 was definitely a win for us... and we love you guys for it! As we approach the upcoming year, we thought it'd be fun to revisit the sessions of 2017. Initially, we were going to try to choose our top favorite image from each shoot... but that just wasn't possible. Alas, you will find collages of our TOP FAV images from each shoot, as well as a link to the full feature if you missed out. Yael and Vasili are good friends of ours, so when their first anniversary was approaching in January 2017... we just knew we had to take advantage of the occasion! These images were *technically* taken in 2016, but we're going to make an exception for them because... don't they just look beautiful?! This was the first time I received film scans back and really felt like I was going somewhere. The light and the colors are still some of my favorite to date. See more images from their sweet anniversary session here. Lindsey's session was also technically taken back in December 2016... but again. I CAN'T PASS THIS UP. I remember going into this session feeling incredibly nervous given the background (the whole thing was taken on a busy fairground site) but then, the images came back and... WHOA. I've been smitten ever since. We're probably due for some updated horse headshots now, huh Linds? You can see more of Lindsey & her loyal companion Sam here! I don't believe I ever blogged images from Jackson's senior session - which was a fail on my part, because the light was truly stunning. This was my first real shoot of 2017, and as I look back... I see the gains. I was still learning to manually focus with my film camera at this point, and unfortunately, Jackson's session had quite a few OOF images. You live, you practice, you learn, right? My sweet friend Lauren has allowed me to photograph so many of her growing family's moments, so I was REALLY looking forward to this shoot. This being said... focus was still an issue here, and while there were plenty of images to love, the learning curve was still going on. I love the colors, and the tangible joy they share. Sometimes focus is overrated, AM I RIGHT?! 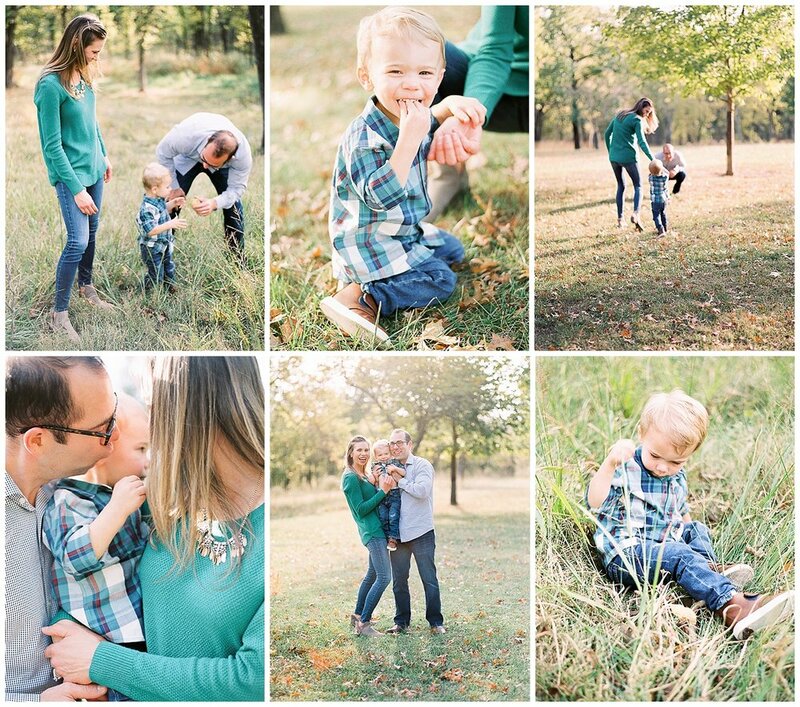 See more from this sweet family session here. Oh, Vanessa... isn't she lovely?! We took these images at her alma mater, the University of Georgia, while visiting for her last senior equestrian meet that weekend. So many beloved images from her session. You can see more here. While visiting my hometown for Spring Break last year, I decided I wanted an opportunity to play with light and focus (and hone in on that skill a bit more). 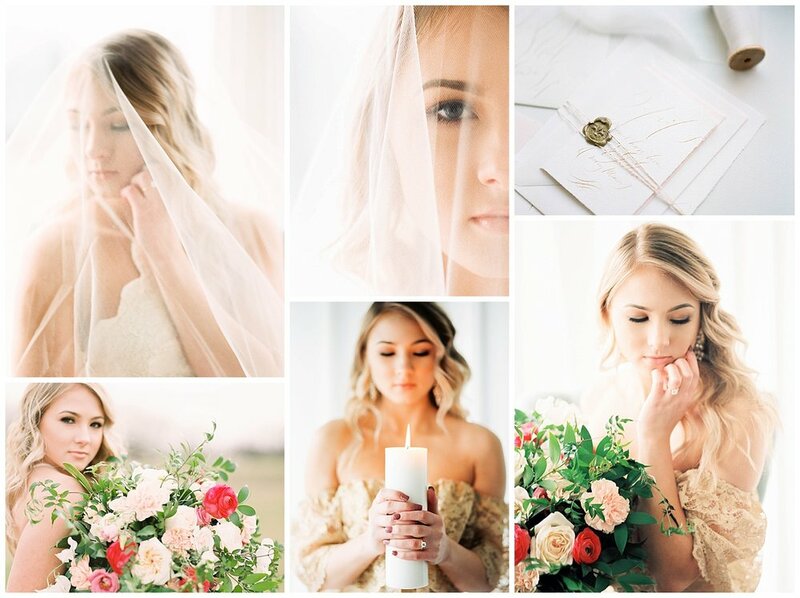 I recruited my cousin, Lexi, as a model - purchased a beautiful bouquet (from Lavish Floral Design), rented some pretty dresses and reached out to with my fav calligrapher (Kelsey Malie Calligraphy) for a stunning invitation suite. This was a difficult session - not at all like I'd planned - because unfortunately, the midwest in March doesn't exactly resemble the spring season we all know and love... but regardless, I still love these images. See more here. These magical images were taken at my first photography workshop... The Film Gathering! EEK! 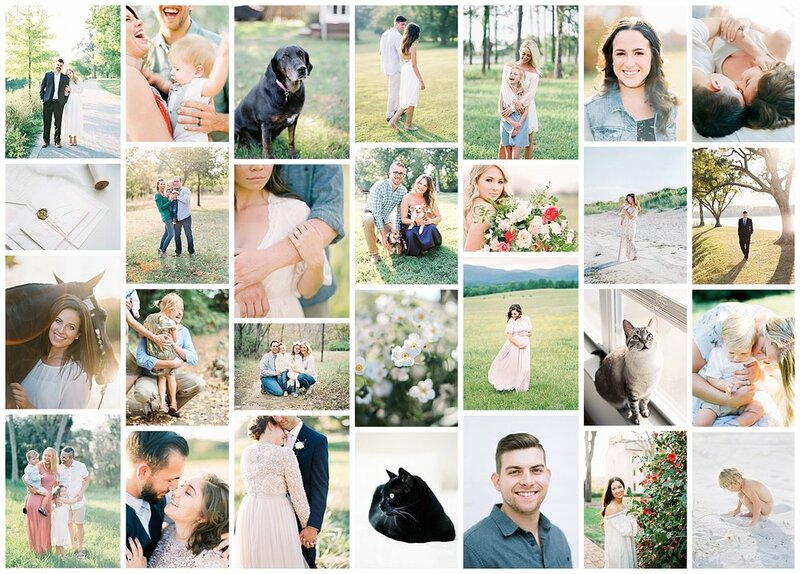 After weeks of contemplation, I finally made the plunge and traveled to Amherst, VA with my dear friend Emily (from The Ganeys) where we would spend several days enjoying mountain views, making new friends, and of course... photographing beautiful styled shoots put together by an incredible team of vendors! This was a PIVOTAL experience in my photography career, as I hadn't yet decided if JWP was something I wanted to pursue on a business-level (just yet). My mind was changed shortly after, and the images from this session also led to my first blog feature over on 100 Layer Cakelet! (I'm still over in disbelief). You can see more of my favorite images from this session here. This was another session captured during my time at The Film Gathering. 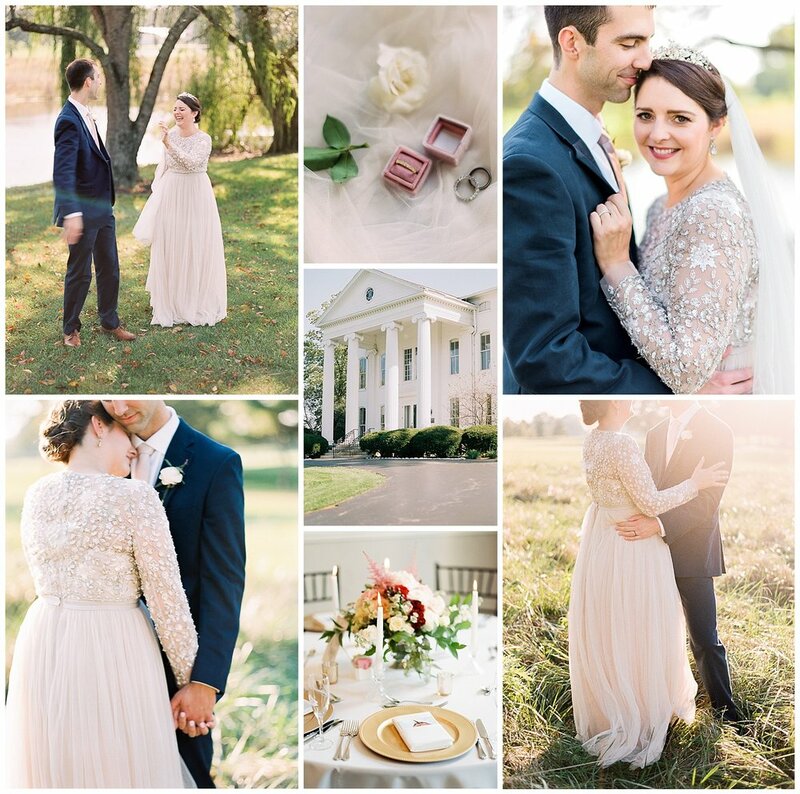 Meant to mimic the morning of your wedding day, I loved the concept and styling for these sweet, cozy images. In-home sessions are quite the rage these days, and after photographing this duo, I can absolutely see why! See more from this session here. Ahhh. Behold Lauren and her sweet baby boy, Colin, right before he he turned one. These images were featured on The Fount Collective which, if I'm being completely honest, was kind of a dream for me. You can rest assured that this won't be the last time you see Lauren's precious family on our blog, as their family is growing by one this March! I cannot WAIT to meet their beautiful baby girl! In the meantime, soak in this sweetness here. This session will forever be one of my favorites, as it was literally thrown together A DAY in advance and Ms. Caroline refused to wear the darling white dress her mother had picked out for her. This session holds a special place in my heart, as I learned that sometimes the best images truly can't be planned for... and these photographs were such a hit, they were featured over on one of my favorite family blogs, Let The Kids Dress Themselves! You can see more images from this darling beach sesh here. These were taken only days before Zach and I moved cross-country to good ole' Missouri, and I remember feeling so stressed but so thankful for a good reason to visit with friends and an excuse to hit the beach before leaving it behind. Debbie is a good friend of mine, and I was excited to capture some images of her and her wonderfully healthy daughter, Simone, before we left. Classic of Florida summers, it was hot, and humid - which is never ideal when trying to look good in photographs - but Debbie was radiant, and that sunrise was somethin' special. See more from this gorgeous mama's session here. This session was taken only hours after the above session... but looking back, the light from these images is quite possibly some of the prettiest in all of my images. Don't Jennalee and her daughter, Reese, look absolutely lovely in it? These images are coming soon to Belle Lumiere Magazine, but until then, you can see them on the blog here. This family is perfection, and there's just no debating it. It was so darn difficult to pick favorites from their session because they were just ALL. SO. GOOD. Seriously. Don't get me started. This session was featured over on Porch Magazine, but you can see the full set of images here. And trust me. If you didn't check them out, you most definitely will want to. Oh, how I adore this couple. When Jess inquired with us about her upcoming wedding, I remember looking at Zach and thinking... someone is playing a trick on us. There is just no way. Her style was impeccable, she was kind as could be, and having never photographed a wedding before, I had no idea how to respond. Luckily, my lack of experience didn't scare her off, and she and her sister BOTH hired us for their weddings. You'll see her big sis, Elizabeth's wedding a few grids below... and we're photographing Jess's wedding on December 30th! WE CANNOT WAIT! Those images will soon be on blast, but in the meantime, see more from her and John's sweet summer engagement session here on the blog or over on The White Wren (where it was featured earlier this year). Evan and Kayla are beloved friends of ours and we were so excited to head out to the Illinois countryside to photograph their backyard (eh, front yard) engagement session. 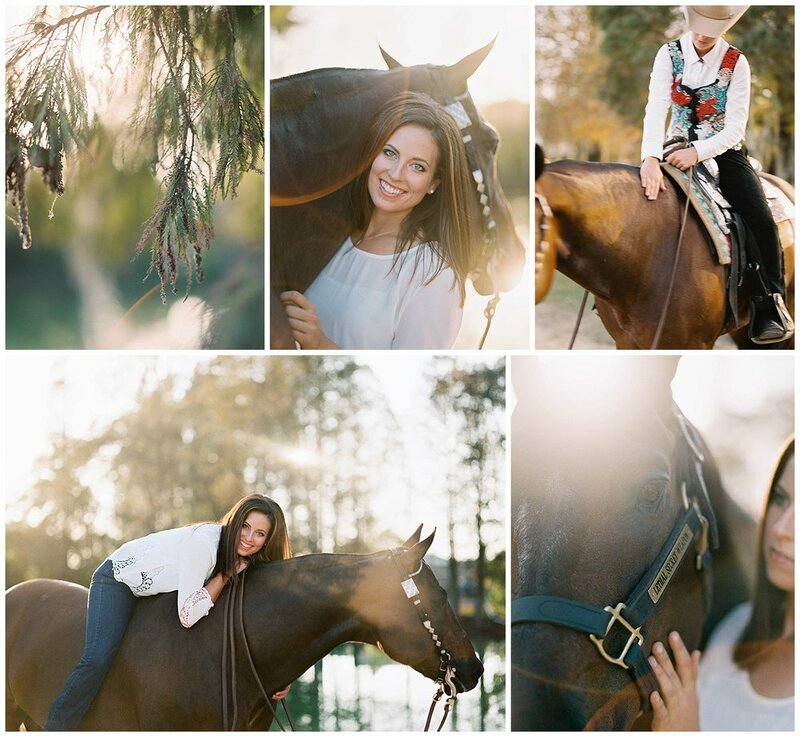 Filled with golden light, puppy love and some nosey barn cats, it just doesn't get better than this. Their beautiful images were featured over on JoyWed (which was a HUGE honor), but you can also see more from this session here on the blog. This engagement session was to die for. Between Patia's dress, George's suit, and the glorious morning light at Forest Park... it could not have been more beautiful even if we tried. It also doesn't hurt that Patia and George are the NICEST PEOPLE. This stunning couple will be getting married next year in Indiana, and I CAN'T WAIT to see images from their big day! Until then... check out more images from their engagement session here, and be on the lookout for their feature coming to Magnolia Rouge this January! I remember being so giddy when Abby (of Lavish Floral Design) reached out to me about photographing her wedding. Abby is an INCREDIBLY talented florist from my hometown, and there's still a part of me that's in disbelief that she's trusted us to capture her big day. As expected, her engagement session was thoroughly thought through and planned, right down to the smallest details. Between their fur babies and her floral creations, I was smitten was the images we took of her and Austin. See more from their engagement here on the blog or over on Trendy Bride Magazine, where they were featured earlier this year! How sweet are the Jenkins?! These images were taken during a mini session to celebrate their son, Liam's second birthday. Julie's smile is infectious, and while Liam wasn't thrilled about the concept of photos... I loved the falling leaves and golden light that frames their images. Fall will forever be my favorite time for family photos! See more from their session here. Another example of #familygoals. 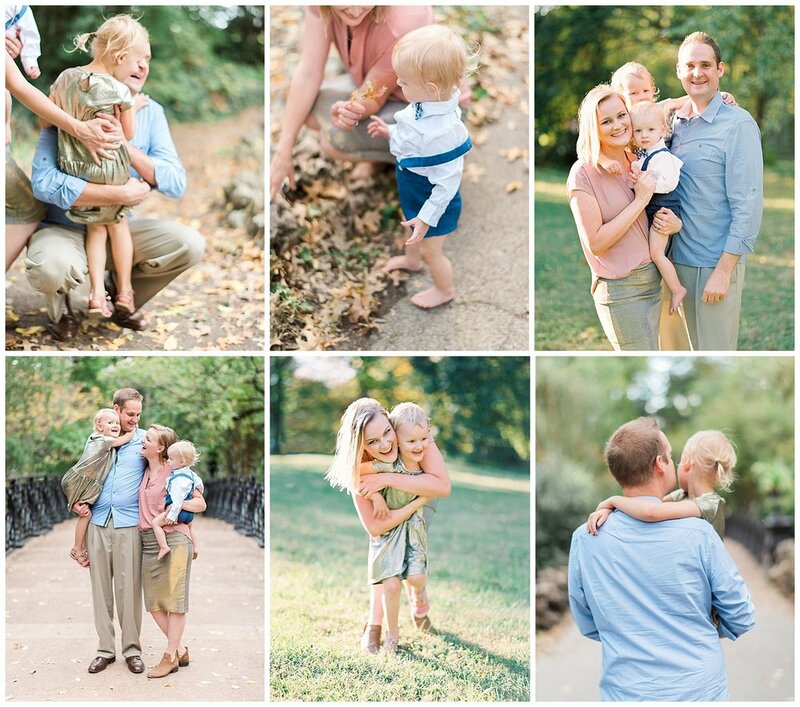 Rebecca and Steve truly have the sweetest children, and we had a BLAST during this mini session. Rebecca coordinated her family's outfits so perfectly, and I love how they pop against the fading greens, yellows, and oranges of the nature around them. I'm really hoping for more sessions with the Solovics in our future, but for now, see more from their sweet session here. OUR FIRST WEDDING. You guys... I must share an image from this wedding over on Instagram every other day, and I don't even feel bad about it. Elizabeth and Alan are the kindest people with the kindest families, and their intimate Lexington wedding was the perfect introduction to wedding photography. From the historic mansion to the flawlessly arranged centerpieces (THAT THE BRIDE & GROOM'S FAMILIES CREATED THEMSELVES) and the beading on Elizabeth's gown... it was just so elegant, and so timeless. This wedding is coming soon to Elizabeth Anne Designs, but in the meantime, you can see more of it here. Our last session to hit the blog in 2017, and it's a beaut. I haven't done many senior sessions, but Grace's was just so fun... I think I'll need to change that next year. 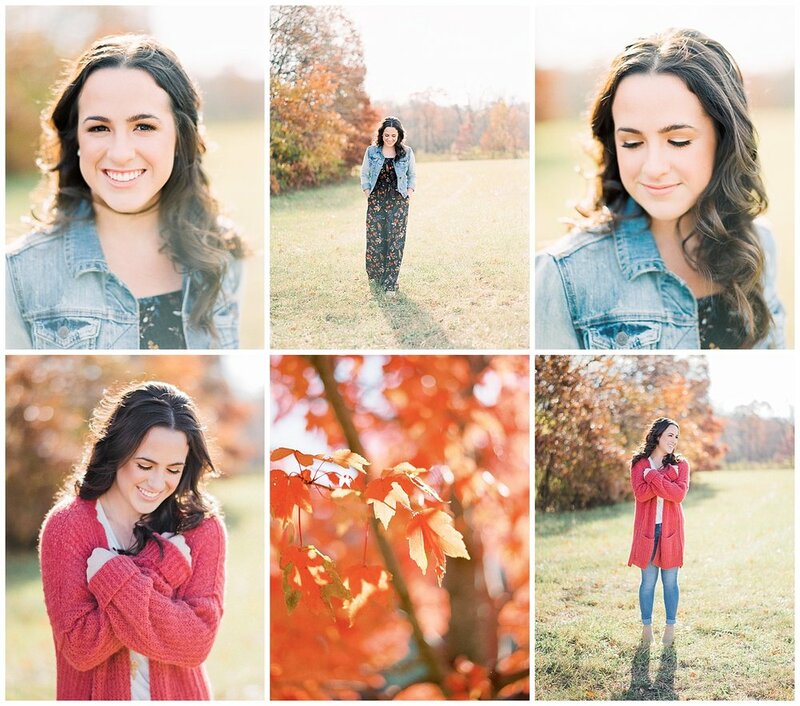 Grace was a vision on this cold November day, and it's fun to look back and compare these images to the sessions captured early in 2017. I'm happy to report that there were hardly ANY OOF images in this set, and I'm excited to see where 2018 will take us! See more from Grace's session here on the blog. And there you have it. We've said it once, but we'll say it again... thank you. Thank you for trusting us, investing in us, and giving us the opportunity to learn and grow through capturing your most precious occasions. Like I said, it's been a big year for JWP, and I only anticipate bigger things to come. We look forward to seeing more of you all in 2018!